This top is sure to make a statement at the party! 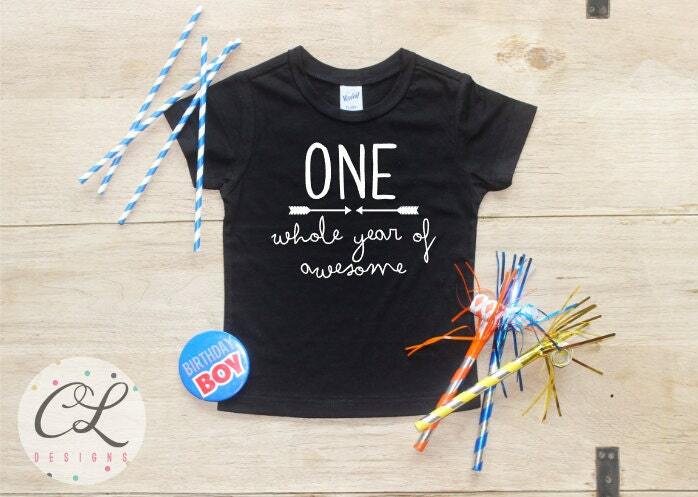 Featuring One Whole Year of Awesome", you get your choice of a black short-sleeve shirt, black long-sleeve shirt, or a black short-sleeve bodysuit. These shirts are so cute! They seem like they run a little small but still fit my son for his bday. It is very cute, Thank you!